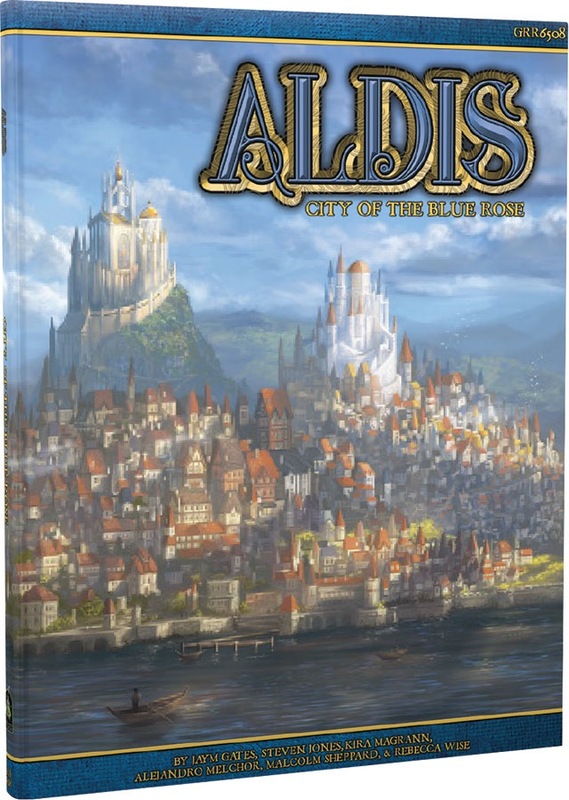 Welcome to Aldis: City of the Blue Rose! This beautiful, full color sourcebook lavishly details the capital city of the central nation in the Blue Rose RPG, providing players and Narrators alike the tools needed to tell stories using the city as a focus. From the intrigues of nobles in the High Ward to the entertainments in the Middle Ward to the roughest parts of town found in the Outer Ward, this supplement details people, important sites, and historical events of the City of the Blue Rose. Romantic fantasy narratives frequently remain focused around singular locations, giving time and opportunities for heroes to develop friendships, romances, and rivalries with the people to be found there, and this sourcebook provides everything to allow players in a Blue Rose RPG campaign to do just that! 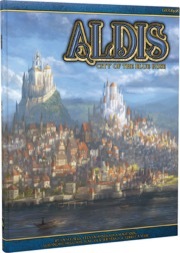 Sign in to start a discussion about Blue Rose RPG—Aldis: City of the Blue Rose!